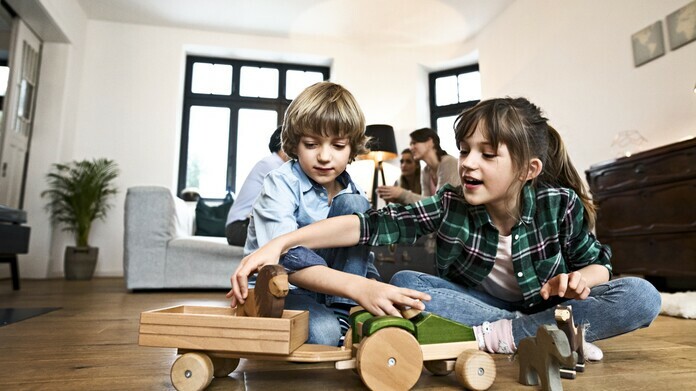 Get to know how we ensure the highest quality for Vaillant heat pumps. The air quality is a factor that influences how comfortable we feel indoors. Air ventilation systems guarantee the best indoor air quality while helping to save energy. Oxygen content, temperature and indoor air quality are crucial to our well-being. The air of an apartment does not only affect us, it also affects the building in the long run. High humidity in the air creates mould, for example. Our air ventilation systems help to make your indoor air as pleasant as possible. They not only provide fresh air, but also direct CO2 and moisture to the outside. They also help you to save energy thanks to innovative technology by recovering your heat. In addition, they filter the air and thus keep out unwanted particulate matter. This produces a pleasant additional bonus - especially in noisy areas: since the windows do not have to be opened, less noise enters from the street. Our air ventilation systems draw in fresh outdoor air and remove the used indoor air. Heat contained in the exhaust air is transferred to the incoming fresh air through a heat exchanger. This can result in heat recovery of up to 95 %. The building’s heat requirement can be reduced by 20 % - saving energy and also costs. 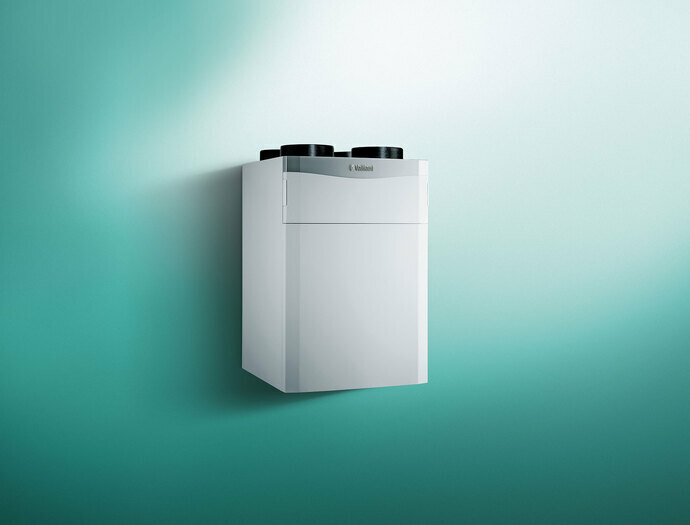 Our air ventilation systems can also be seamlessly combined with Vaillant heating technology - saving even more energy. Before the outside air is drawn into the building it is filtered. Meaning that no dust or pollen or other particulates enter the rooms. This is especially important for allergy sufferers. By controlling the humidity you can also prevent mould and thereby eliminate the conditions favoured by dust mites.